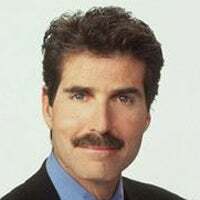 To give students another perspective, I started a charity that offers teachers free study guides, sample lessons, and videos that introduce students to free-market ideas: Stossel in the Classroom. One that stuck with many was “unintended consequences”—the idea that laws meant to protect people often end up harming them instead. Every law, every regulation is announced with the loftiest of intentions—making the poor richer, protecting the environment, guaranteeing food safety—but again and again, the laws not only fail to achieve their stated objectives but also make things worse by limiting choices and making it harder for businesses and customers to find mutually satisfying solutions. Few students understand that. In fact, these days, most are more pro-government, even socialist, than their millennial, Generation X, and boomer predecessors. “I went to my mom. I was like, ‘Do you know who’s really paying for all this government stuff? '” said Perez. School Choice Week isn’t just about letting kids and parents choose where they go to school. It also means being able to choose what ideas they learn—including the concept of choice itself.